MKVToolNix is a program for converting and editing video files of MKV format (Matroska Media Container). It is available for Windows, Linux and Mac platforms. The program allows you to convert video files from DivX and AVI formats, and work with audio tracks and subtitles. Although it is a useful tool, most new users complain about its non-user-friendly interface and complexity in getting started. We will now give you a brief explanation on how to remove this app from your Mac. 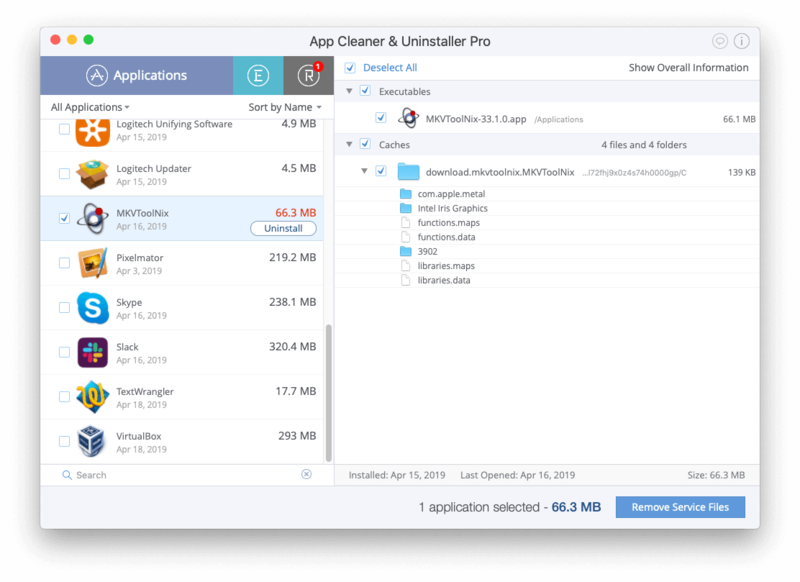 Uninstall programs on Mac using App Cleaner & Uninstaller. 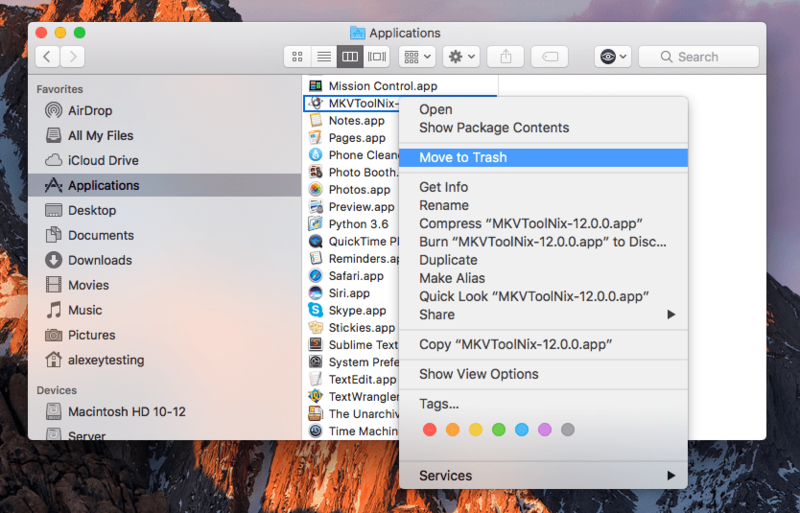 When you try to uninstall MKVToolNix with App Cleaner & Uninstaller, or any other removal tool, you might not find it in the list of applications. Neither will you find it’s provided uninstaller. You may be wondering why. The reason is that MKVToolNix is not signed with a developer certificate and does not have a bundle ID record. 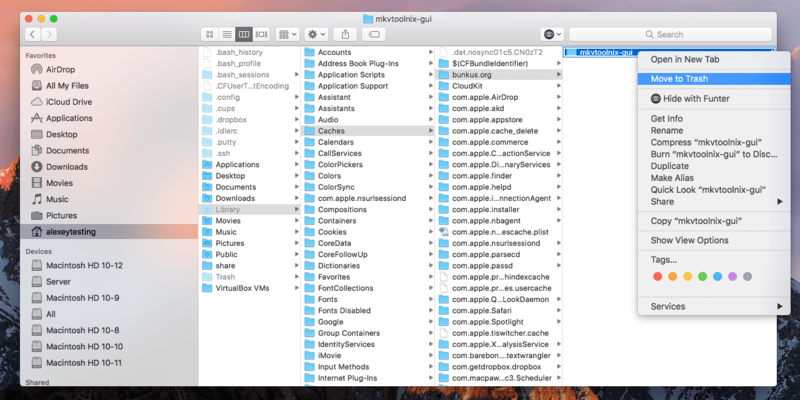 Every Mac and iOS application should have a bundle ID – a unique identifier for Mac and iOS apps. All information about apps is based on it. Furthermore, because of not being signed with a developer certificate, the application cannot be launched in the normal way on the latest macOS system. folder → find the program and delete it with the context menu. Now you should remove the app’s service files. Again you need the Finder, but this time go to the hidden Library folder. Learn three ways of how to get to the Library folder. Congratulations! You have uninstalled MKVToolNix. Please note, there is a much quicker way to uninstall applications which have a bundle ID. You can do it with just two clicks if you use App Cleaner & Uninstaller. It is a user-friendly removal tool, which you can use for free. It allows uninstalling applications safely, managing extensions and even finding the leftovers of apps that you have removed before but haven’t deleted their caches. All you need to do is to scan your apps, select applications or unneeded service files and click the Remove button.